feeding « Howard J. Bennett - Pediatrician and Author in Washington, D.C. The American Academy of Pediatrics (AAP) recommends breastfeeding for the first year. Most mothers are unable to breastfeed their babies for the entire year because of work or family situations. This is perfectly acceptable. If breast milk is unavailable, babies should be fed an iron-fortified formula. Babies are transitioned to whole milk at one year of age. In most cases, babies do not need the special formulas that are marketed for the second year of life. The AAP recommends that children drink whole milk until two years unless there is a reason to switch the baby to low-fat milk sooner. Doctors may make this recommendation for clinical reasons or because there is a family history of obesity, heart disease or a cholesterol problem. The reason the AAP recommends whole milk until two years has to do with a baby’s growth and development. Infants triple their birth weight by one year of age and quadruple their birth weight by two years. During this period, a baby’s brain and nervous system are making amazing gains in size and complexity. Because the brain and nervous system are largely composed of fat tissue, it is reasoned that the baby should have a higher fat diet during this period of time. Whole milk contains approximately 4% milk fat. Because children often have difficulty with transitions, it may help to gradually switch your child from whole milk to lower fat milk. Therefore, some doctors recommend that children get reduced fat (2%) milk for a few weeks before switching them to low-fat (1%) or no-fat (skim) milk. It is well known that young children are more likely to choke on food than older people. There are two things you can do to reduce the risk of choking in your children. First, avoid foods such as hot dogs and peanuts that are associated with choking. Second, make sure your children are sitting down when they eat. In my office, I remind parents that young children are easily distracted and that sitting at the table helps them stay focused on their eating. I also show parents how hard it is to swallow when a person is looking up. I do this by asking them to swallow saliva while they are looking at the ceiling (this is very difficult to do). I then point out that toddlers frequently look up at people. If children are walking around with food in their mouths and try to swallow while they are looking up, they may gasp and aspirate by accident. Finally, because children may have choking episodes despite your best efforts, you should take a CPR class so you know how to do a Heimlich maneuver should the need arise. Older brothers and sisters learn quickly that babies only drink breast milk or formula. Once you start feeding your baby jarred foods at six months of age, an older sibling may think it is okay to share his food with the baby. Therefore, make sure to tell your older child that even though the baby is now eating from a spoon, he is still too little to eat “big-boy” food. If your older child is interested in feeding the baby, you can supervise spoon-feeding once the baby has demonstrated that he is a competent eater. Make sure that you stay alert for sharing even though you have warned your older child to keep his “macaroni and cheese” to himself. Hiccups are caused by a sudden contraction of the diaphragm, which draws air rapidly into the esophagus. The characteristic squeak occurs because the epiglottis closes rapidly shutting off the influx of air. Young babies frequently get hiccups after a feeding. In most cases, hiccups do not bother babies and require no treatment. They usually resolve in five minutes or less. Because hiccups bother adults, it can be difficult to do nothing while you wait for them to go away. However, this is one of those situations where patience is clearly a virtue. If hiccups occur during a feeding, they may bother your baby. In that case, change his position or hold him upright and see if a burp will make him feel better. If this doesn’t work, give your baby an ounce or two of sugar water (1/4 tsp sugar to 4 ounces of water). Hold him upright for a few minutes, and try feeding him again if he seems hungry. 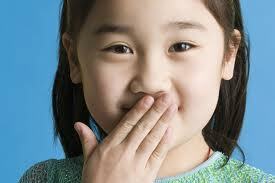 Hiccups bother children more than babies. They usually occur after rapid eating, overeating or the ingestion of carbonated beverages. If hiccups last more that five minutes, give your child a teaspoon of granulated sugar. Have him swallow the sugar in one gulp. Repeat this two or three times over ten minutes if necessary. If the hiccups last more than two hours or your child is very uncomfortable, call your doctor. Why do toddlers eat less than babies? • Children gain less weight in the second and third year and therefore need fewer calories to sustain growth. For example, the average baby gains 15 lbs in the first year of life, but only 10 lbs between one and three years. • Because jarred foods are watered down, they contain fewer calories per volume than table foods. Therefore, your toddler doesn’t need to eat as much table food to get the same calories she did from jarred food. • Toddlers love the newfound independence that comes from being able to walk and play. Therefore, they are often more interested in playing than eating. 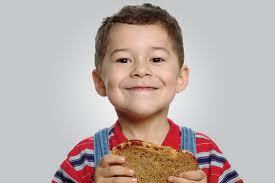 • Toddlers begin to express their own personal likes and dislikes and will reject food that’s not appealing to them. • Milk contains a lot of calories. Sometimes toddlers will not eat much because they are getting too much milk. In general, we recommend that toddlers drink between 16 and 24 ounces of milk per day. • Fruit juices fill children up and contain little nutritional value even if they are 100% juice. Children don’t need juice, but if you use it, be sure to dilute it with lots of water.